Sadler’s wells theatre is a lovely modern theatre that felt like a museum from the outside. Once we got inside to our seats, I loved the theatre even more because it’s quite spacious and the seats aren’t cramped either. Hurrah for having some decent leg room! The performance began promptly and I was pleasantly surprised at the opening act. It had great comedic value and baby Aurora was played cleverly through puppetry. Unfortunately, that’s were the good stuff ended as the second act came out with 6 dancing fairies, and let’s just say I was very disappointed. Their dancing looked a shambles and they weren’t synchronised very well. This made the act drag on even longer than it did and as much as I tried to let their timing slide, I felt like I was distracted by the fairy that was out of time. 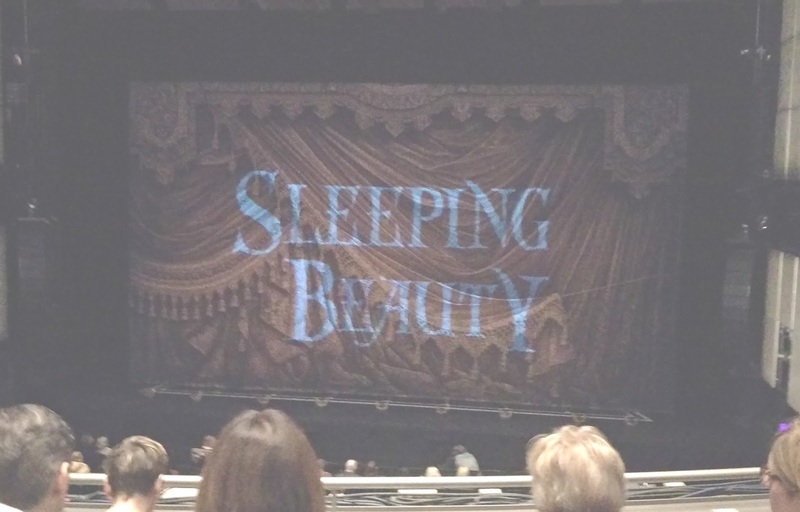 As the performance went on, I realised that I didn’t actually have a clue what was going on because they didn’t follow the traditional Sleeping Beauty storyline. Instead, the evil witch’s son was out to avenge his mother’s death. I’m not sure what goes on through most of the middle of the performance but the end of act one ends with Aurora’s true love becoming a vampire by being bitten by the king of fairies. Now I’m not a fairytale expert but I’m pretty sure fairies and vampires are two different creatures? After the interval, the performance continues in modern day (100 years later). Aurora’s true lover sticks around for these 100 years as a vampire until he can be reunited with her. The creepy son of the evil with is defeated in the end too after a strange moulin rouge-esque dance sequence. The only dancer worth any applause was Ashley Shaw. She played Princess Aurora wonderfully and her dancing was truly angelic. I was in awe at the way her body moved with such ease and fluidity and she was the only performer that had me come away from the show feeling like ballet was actually a great performing art. As for the supporting cast, well if truth be told they looked like amateurs dancing around the stage. The set was the only other redeeming part of the show. The staging, lighting and scenery were all brilliant. After having seen this show, I personally wouldn’t recommend it to anyone, be it first time ballet watchers or ballet enthusiasts. If you’re paying premium prices, I expect you would want to see professionals, as opposed to the seemingly amateur performers that graced the stage earlier this week. Matthew Bourne has created a disappointing mish-mash of ideas that just didn’t work for me.